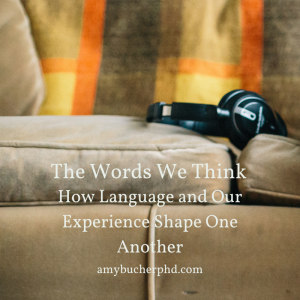 The Words We Think: How Language and Our Experience Shape One Another | Amy Bucher, Ph.D. 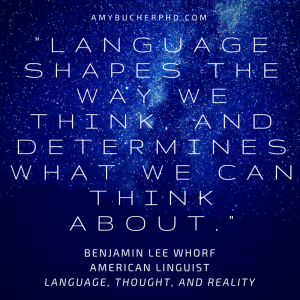 Language shapes how we think. On some level, this seems kind of obvious. If you don’t have words for something, it’s hard to think about it. This is particularly true when it comes to more abstract concepts or complex descriptions; probably we could think about food or warmth or sleep without much of a vocabulary, but not so much love or death or career aspirations. The extent to which language shapes our experience is pretty amazing. One bit of research that’s always stuck with me has to do with the words different languages have for colors. Some languages might have only one word for “blue,” and that word is used for every single shade of blue. Other languages have words for individual shades of blue that get very specific about the nuances of the color. Research seems to suggest that when people have words for the different shades of a color, they’re better at actually seeing those shades. Children form their first real memories around the age of three, which is also around the age at which they get really good at language. Although there are likely neural mechanisms behind this co-occurence, language may also play a role because it would allow children to “objectify” and rehearse past events. In fact, kids who talk about themselves with a parent or other adult tend to have stronger memories than kids who don’t (which can be culturally influenced). The incredible work of Elizabeth Loftus (who has guaranteed I won’t be swayed by eyewitness testimony should I ever be sat on a jury again) shows not just how easily manipulated memory is, but the strong role language plays in it. As just one example, she was able to make adults believe in a false childhood memory of being lost in a shopping mall by “reminding” them of the event and later asking for their own memories of it. Even though the event never happened, many people provided their own detailed accounts of being lost. Across many studies, Loftus and her colleagues have used subtle language cues that evoke powerful, if false, memories. One of the reasons I’m so enamored with learning languages is to see how it can broaden my perception of the world. 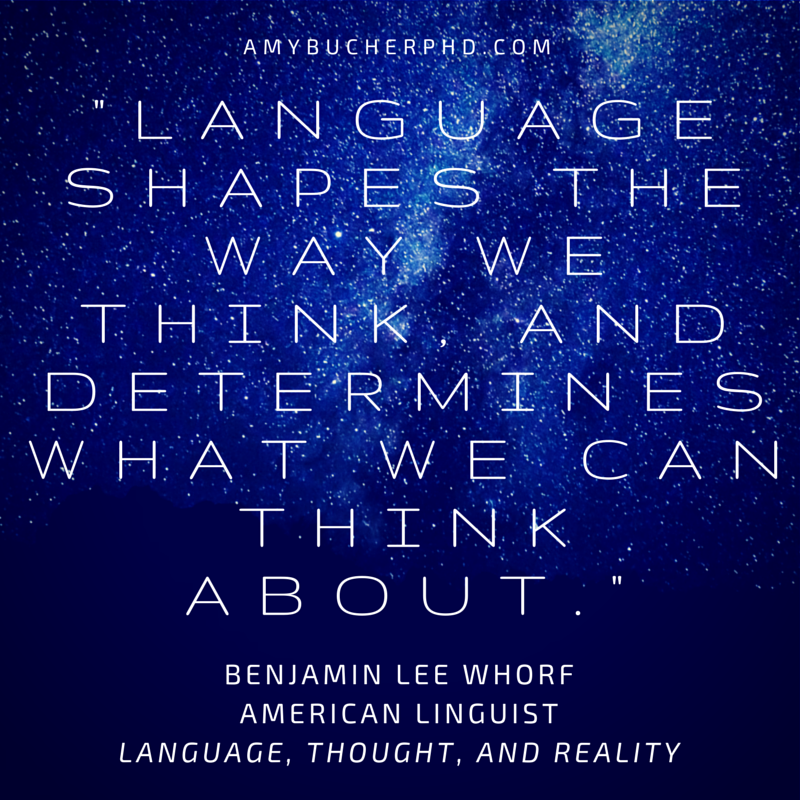 Language can shape what we see, how we remember it, and how we think about it. It’s an incredible tool and a window into other people’s minds.